Dolly Dim Sum is the modern interpretation of a traditional Chinese tea house. It is a contemporized dim sum house that offers an all-day grazing experience, specializing in modern authentic dim sum. Our Halal Dim Sum session starts with a fritter type dim sum called Salad Prawn Dumpling “沙律明虾饺” RM9.80 serves with the sweet mayonnaise lemon dippings. Prawn dumpling outer layer is crispy (with the right level of thickness) without any greasy feel, stuffed with a generous amount of prawn stuffings and taste heavenly while serving with the homemade dipping sauce. The Golden Fish Cracker “多利炸鱼饼” RM9.00 is Dolly’s speciality dishes which consists of fried fish paste (fish cake) with cheese spread and salted egg yolk in between as the main ingredient. Once taking the first bite, there are loads of cream cheese oozing out from the fish cakes which makes it even more irresistible. It tastes like having a flat shape fried cheese hot dog but in fish flavours, undoubtedly would be a hit among younger generations. The Dolly’s Siew Mai “鱼子蒸烧卖” RM9.80 uses prawn, chicken and mushroom trio combinations to form their own exclusive halal version dumpling. Unlike any Chinese Siew Mai out there, it does not have any gamy taste from the pork while successfully pertain the QQ texture from the meat. Ebiko (shrimp roe) added as topping gives a perfect feat on the overall tastebuds. Highly recommend this particular Siew Mai for those who are looking for pork dumpling alternatives. Now reaches our all-time dim sum favourite Har Gao Dumpling “白玉翠虾饺” RM10.50 to make its debut, featuring prawn wraps in translucent dumpling skin. Although it was a little overpriced, yet still definitely worth to order considering the amount (average 2-3) of huge prawn they invested in each dumpling. Dolly Steam Beef Ball “鲜竹牛肉丸” RM9.30 is what we regard as the true “Underdogs” in our whole halal dim sum session. Freshly ground beef balls are steamed with aged mandarin peel and lemon basil leaves which truly adds the refreshing scent on the meatballs. If you have yet to try any delicious Chinese beef ball before, this is the Beef Ball that you gotta try once in a lifetime! Craving for some spicy flavoured Dim Sum? The Spicy Szechuan Dumpling “四川饺子” RM11.30 might be just what you are looking for! Featuring prawn and chicken dumplings drizzled with a spicy tangy sauce, these dumplings have a burst of aromatic red chilli fragrant while consuming it, taste exactly like having spicy Shui Kow “水饺”. It would be even more awesome if they have an option to serve this spicy dumpling with a hearty amount of dried noodles. Besides offering a series of common filler dishes like Carrot Cakes “萝卜糕”, Cheong Fun “肠粉”, Pau “蒸包” etc. Dolly Dim Sum also serves a variety of stir-fry dishes which definitely worth a try! We chose Crispy Egg Noodles “江南生面” RM26.50 as our main filler dish which is being nominated (most ordered) by customers on the scene. This dish serves with a deep fried Shang Mee “生面” (as the base), topped with red snapper fillet, chicken slices, mushroom, sweet peas and thick gravy. Overall taste delightful after mixing everything upside down, best consume while it’s still hot especially when egg noodle still crunchy. Dolly Dim Sum also serves a variety of Chinese tea for diners to complete their dim sum experience ranging from – Puer, Shui Xian, Tie Guan Ying, Qi Li Xiang, Ju Hua, Ju Bao, Jasmine and Pearl Jasmine. By spending RM3.70 (per headcount) and you are entitled to have an unlimited refill of Chinese tea throughout the dining session. Honestly speaking, this is our very first encounter with “Halal” (non-pork) theme dim sum restaurant and felt very satisfied with the outcome. In term of taste, Dolly Dim Sum are sure to “Bungkus” most of the well known Local Chinese dim sum up to date. Sincerely salute for those Malay chefs behind the kitchen (who workout these dishes) and indeed as always “Malaysia Boleh”! 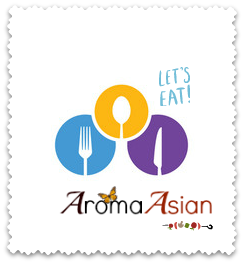 Address: Lot LG-82B, IOI City Mall, Putrajaya, Sepang, Selangor.